When Ahmed Awid moved to Brandon in the early 1900s, he was at the vanguard of what is now a thriving Manitoba Muslim community. 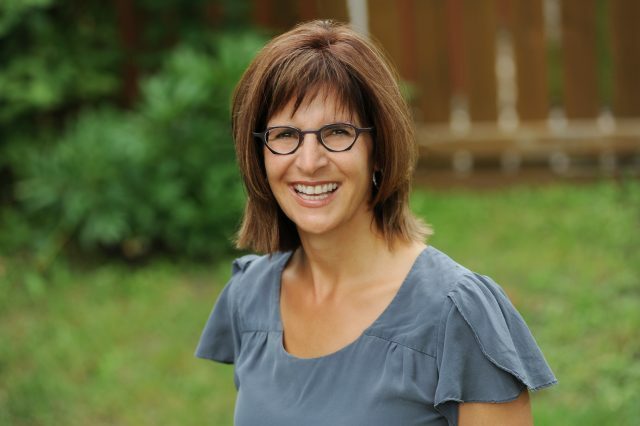 Brandon University (BU) professor Dr. Alison Marshall says that Awid’s story is both an example of early Muslim immigration to Canada and also a window through which to consider the social history that made it difficult for newcomers to enter and stay in Canada through much of the 20th century. “At the time, fewer than 1,000 Muslims resided in Canada. He was a Sunni Muslim drawn to the prairies by stories of successful Syrians who had moved here before him,” she told a group of people assembled at Winnipeg’s United Way last week to mark Islamic History Month. Awid, who had met and married Brandon woman Mary Blonarowiz by 1908, opened a dry goods and jewelry store on Rosser Avenue and became a successful local businessman and respected member of the community for two decades. Drawing on her years of academic research into marginalized early-Canadian populations like Chinese immigrants, Marshall said that early Muslim immigrants like Awid faced barriers both legal and social. In 1928, Awid and his growing family relocated to Edmonton, which had a more robust Syrian and Lebanese community and was seen to be more welcoming to Muslims than Manitoba was. A decade later, he helped found Canada’s first Mosque in Edmonton. By that time, Muslim immigration to Canada had been almost completely barred, under legislation that, until its repeal in 1956, forbade “Orientals” from entry to the country. Then, when a new point system introduced in 1967 eliminated many discriminatory aspects of previous immigration legislation and made it easier for migrants to come to Canada, Marshall says that the Muslim population in Manitoba began to rise. By 1976, Manitoba’s Muslim community was large enough to open the province’s first mosque: the Hazelwood Mosque in St. Vital, Winnipeg, which was renamed the Pioneer Mosque last month in honour of the pioneers who founded it. The mosque cost nearly $116,000. Manitoba’s community rallied together and marshaled their resources to establish their place in the province. Needing more money to complete the project, they wrote to the leaders of various nations with large Islamic populations. King Faisal of Saudi Arabia notably sent them a cheque for a large amount which allowed them to build. The simple building provided a home away from home. With a main floor worship area, a basement kitchen and a gathering space, it became a significant hub through which newly migrated and longtime Muslim men, women and children could connect, belong, and grow. Its significance cannot be understated, Marshall says. These days, she notes, Manitoba has several multi-purpose mosques, including ones in Brandon and Thompson, as well as the Grand Mosque on Waverly. Muslims are free to practice their religion in public and on university campuses and hospitals. As well, the province’s Canadian forces bases have multi-faith rooms available for religious use. But there are still challenges for the Muslim community in Manitoba. It was only in 2007, Marshall points out, that Winnipeg allowed for traditional burials in shrouds, rather than Western caskets. And not until 2016 did the City of Winnipeg provide dedicated space in the Transcona Cemetery for Muslim burials. Ending her talk on a positive note, Marshall says that cultural outreach between Manitoba Muslims and the rest of the province are beginning to make strong bonds. She also cites the mosque’s monthly “Foodorama” as a meaningful and demonstrable way to bring people together over a shared meal. Marshall’s full talk can be viewed on the Manitoba Islamic Association’s Facebook page. It is also linked from the United Way Winnipeg website.